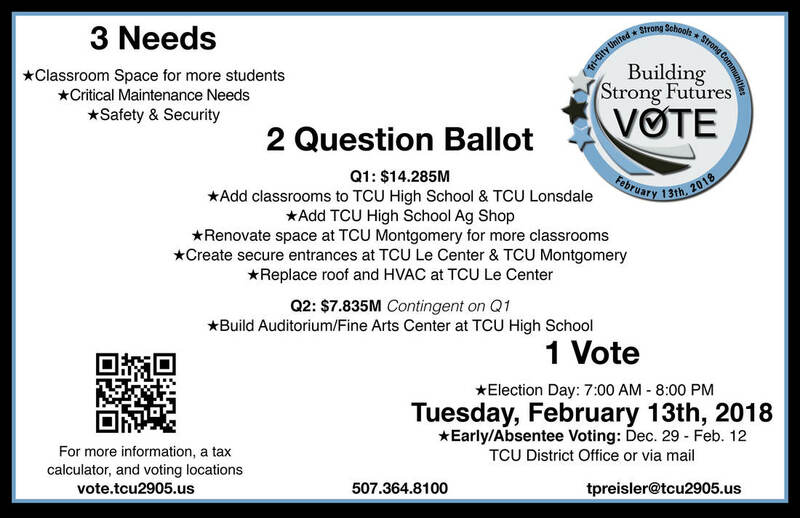 Years of planning resulting in a two-question bond referendum on February 13th, 2018 ballot to address TCU growth, safety, and critical maintenance needs. 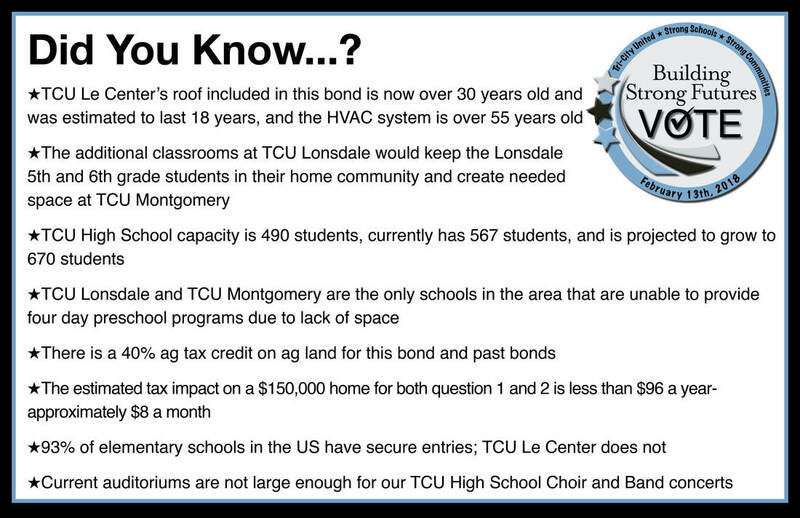 ​Click here for more details on the history of the bond and facilities task force. Question 1: $14.285M to add space for growing enrollment, and address safety issues and maintenance needs. 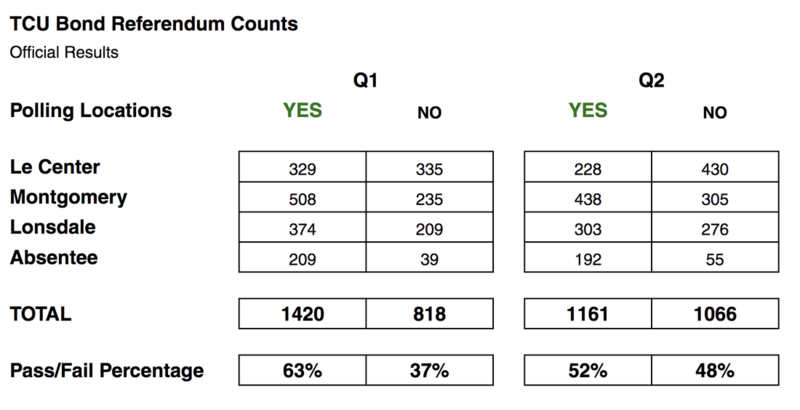 If both questions are approved by voters, the tax impact on a $150,000 home will be less than $96 per year (or less than $8 a month).